“I like winning more than I like losing…”, Maria Sharapova said during an interview this week at the Australian Open. Not only is Maria Sharapova currently #2 in the world for tennis, she is one of the most mentally tough tennis players on the WTA. This week, she is competing in the Australian Open and is currently in the semi-final rounds. On Tuesday, she played against Eugenie Bouchard and won in two sets 6-3, 6-2. Coming in to this match, Sharapova knew that Bouchard would be ready for her. When asked about what she expects from Bouchard’s performance, Sharapova had an idea of what she would face in the match. Sharapova uses what she knows about her opponents to mentally prepare herself. This helps her be sharp and ready for the challenge. She take no opponent lightly. She knew going into the match that Bouchard would attempt to control the points and Sharapova had the answer. 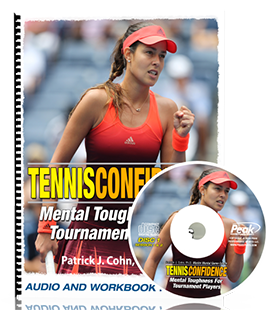 Mental toughness is one of the most important skills you can have as a tennis player. 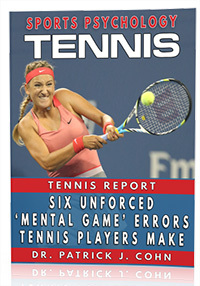 Sharapova’s mental toughness has helped her to play well under pressure and to dominate strong opponents. When playing strong opponents, remember to prepare yourself mentally for the match. Know your strengths as a tennis player and use those to your advantage on the court. Focus on what you bring to the match and how you can control the points. Don’t allow yourself to dwell on the strengths of the opponent. Choose to mentally prepare a game plan for each opponent so you can feel confident you have a good game plan.